Hello, Dear Readers. Twelve months ago I was about to embark on a fabulous but life-altering adventure, though I did not know that; all I was concerned with was how I was going to leave a poorly toddler-daughter for 10 days while I was in Chicago presenting a writing paper at the Qualitative Inquiry conference. But my little girl was staying with her Dad and Grandparents and I couldn’t lose the £1000 I’d already invested in the trip. I had absolutely no idea what lay around the corner. 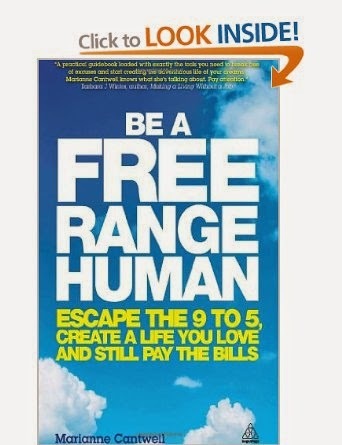 So, I would love to share with you the 12 key books I blog by, beginning with the first two, Be a Free Range Human and Problogger. Last May I picked up a magazine and read about a woman’s life, where she basically just kept the hours she wanted, in amazing locations. My first thought was, bet she doesn’t have children. But she was doing what she loved, and I took a photo of her website and book, so I could download it later – I’d just invested in a Kindle Fire HD and needed something to read on the flight. This book has literally changed my life, and it really goes to show that you shouldn’t do that tired old thing of judging a book before you read it. My jealous initial reaction was because her lifestyle struck my chords. I really wanted to live a life I loved, but as a mature Mum with a toddler I believed this working life was beyond me; I used to get up, rush toddler-daughter out of the house, shout at MrS15S and sit at my desk by around 8.30am, repeating the stress in reverse at around 4.30pm. However, Marianne’s introductory words, ‘More and more people are saying no thanks to the conventional job and are busting out of their beige office to create remarkable lives, on their own terms. The mission? Freedom and fulfilment: not in retirement, not in their annual vacation, but every single day, starting now. These people are the new Free Range Humans’, became my anchor for the next few months. 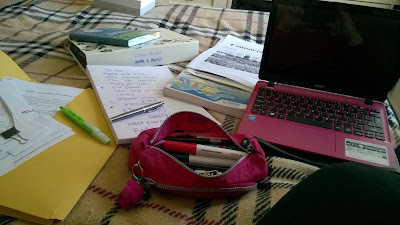 I steadily worked through the advice and the exercises, for the first time finding a possible structure to my dreams of living the life I want (where I write, on my terms, and yet am not financially scuppered). I did not want to wait until retirement to start enjoying my days. Marianne advises us to think about what we want to spend all our days doing, first implementing a play project, where we just ‘do’ something in a week. I came up with a few options, one of them shopping. The other writing. I returned to my part-time job, but I couldn’t put Marianne’s book down. I joined in with her weekly insights on the Free Range Human website and signed up for her free Friday Love Letter. Still very much unsatisfied with my part-time job, I had begun to save, for the first time in my life. I actually thought about how much coffee I was paying for (and the cakes that went with the tall vanilla lattes) and seriously considered every purchase I made. I began putting money away, a few pounds at a time, in an old purse, and would periodically peek into it to see how my ‘savings’ were growing. I also negotiated a week off work and toddler-daughter spent my normal working days with her grandparents. I wanted to get to grips with what blogging was all about, so settled down to read this second, influential, book. I’d experimented with a Wordpress blog in 2009, and had been quite prolific for a good few years, until academic commitments and motherhood took over my blogging time. But I was curious about the Blogspot platform and so, from the comfort of my sofa, these two books by my side (and Broadband) and a red notebook and pen, I spent my usual working hours turning myself into a blogger, resulting in Size15Stylist, my devotion to shopping and writing. Let me qualify, I am no where near earning a regular paid income from blogging, never mind the six-figures that no doubt some bloggers do. 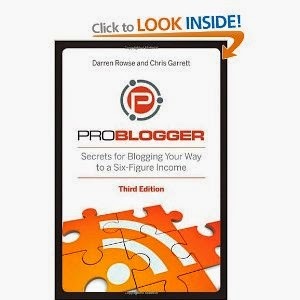 No, tbe Problogger book offered an understanding on what a blog is, and how it can be monetized, and is just a fabulous, great big How To Blog guide, offering insight into everything I need to know about blogging. The approachable writing, from experienced bloggers, offered confidence to this newbie and taught me how to take this blogging business professionally. The Problogger community reminds me to keep blogging. From reading of this book, and my own action, I returned to work a blogger, uploading posts about shopping on a daily basis, which meant I had to go shopping as often as I could....win! But instead of handing over my money, which was destined for my savings purse, I began to use a critical eye in the shops, editing collections as I browsed, and researching for my readers. The days were no longer as long; I had begun to change my life. Join me later this week for details of the next two books to blog by, and by all means share any thoughts on these books or others that you have read on your adventures in the blogosphere. This is fabulous, inspirational Emma. It was a brave move, but then what's the point if life, if it's not for living. Thanks, Becky, it's great being able to take new opportunities as they appear, and I've acquired so many new skills since rediscovering blogging. How's your writing going? This post is so enthusiastic. I love to hear where others get their inspiration for what they do from and both these books seem like they would be a good read. Thanks Debra, hope you find the other books offer a shot of inspiration, too. 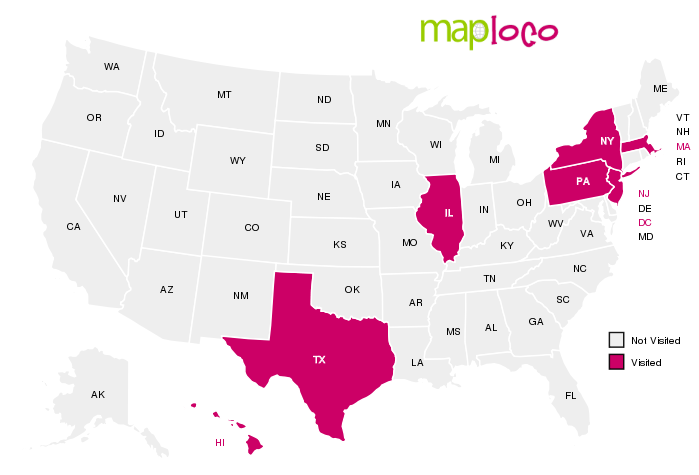 Where do you find yours? Fancy some half-price fun in the sun?